Achieving customer loyalty by understanding and exceeding their expectations. A committed team of professional colleagues collaborating in support of the company’s mission, vision and values. Providing exceptional quality third party property management and construction services. Visionary leadership and aggressive business strategies focused on substantial return on investment. Therefore, as we grow, so does the focus on investment partners, financial institutions, residents, colleagues, and other individuals that make up our invaluable customer base. Sterling Group, Inc. has owned and managed self storage since 1986. Sterling Self Storage Management includes the Mini Storage Depot brand, owned and operated by Sterling Management, as well as third party properties managed by our team. At Sterling, our colleagues are our most important assets; therefore, we reward talent and outstanding effort through competitive compensation & benefits packages, training programs and more. If you are the customer-focused individual that can rise to this challenge and look forward to experiencing new adventure, then we are the company for you. 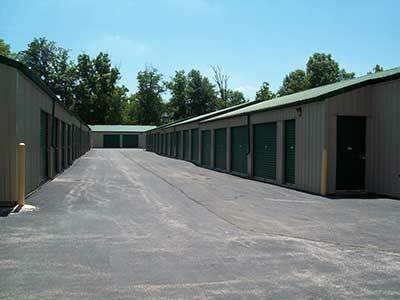 Thank you for considering Mini Storage Depot for your self-storage needs. It is our mission to exceed customer expectations, and we would like to continue with you! Check back often to see new developments with Mini Storage Depot and Sterling Management, and find out how you can participate for free in our next promotion. So far this year we have given away sports tickets to local sports teams, including but not limited to the Detroit Tigers (MLB), Detroit Red Wings (NHL), Chicago White Sox (MLB), South Bend Silverhawks and Columbus Clippers (minor league baseball), Columbus Blue Jackets (NHL) and Ohio State University Football (NCAA) – plus, items such as Apple iPad 2’s, prepaid Visa gift cards ranging from $50-$500, free rent, and other items! Mishawaka, Ind. – The Sterling Group, an Indiana-based real estate company, specializing in multifamily apartment homes and self-storage facilities, has acquired six self-storage facilities throughout the state. The total purchase price of these newly acquired properties, located in Elkhart, Fort Wayne, and Evansville is $15 million. Sterling operates and manages the Mini Storage Depot brand, which the self-storage facilities operate under. Sterling has been active in the self-storage sector since 1986 when it established Mini Storage Depot. This acquisition adds over 364,000 square feet of storage and approximately 2,800 units to the company’s existing self-storage portfolio. Sterling’s owned and managed existing portfolio of self-storage assets are comprised of 12 properties throughout Indiana, Michigan, and Ohio totaling over 812,000 square feet. This acquisition increases Sterling’s managed self-storage assets to 18 properties and over 1.1 million square feet and more than 9,400 units. 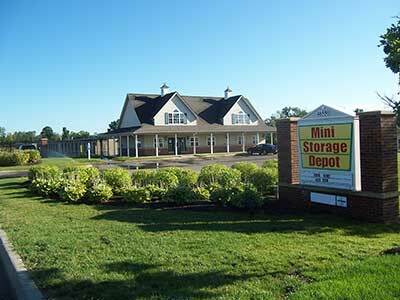 To learn more about Mini Storage Depot locations, please visit our locations page. Founded in 1976, develops, constructs, acquires, and manages investment quality real estate, specializing in multifamily apartment homes, and storage facilities. Sterling properties are in 16 states throughout the Midwest and Southeast. For more information about The Sterling Group, visit www.thesterlinggrp.com. Sterling Management, Ltd. has over 30 years of experience assisting owners in achieving both physical and financial goals for their assets. Sterling Management oversees a portfolio of multifamily communities and self-storage facilities across the United States. In addition, the company also provides fee management services. For more information, please visit www.thesterlinggrp.com or contact Andrea Hurn, Vice President of Management, at 574-247-3241. For information on Sterling Group news, visit Sterling's "In the News". Each Mini Storage Depot property is involved with their local community, ranging from Better Business Bureau memberships to Chamber of Commerce memberships to school and sports sponsorships. We also hold events at different locations, ranging from Halloween events (haunted storage units), Easter Egg hunts for the kids, television and ticket giveaways and more. Please visit our Facebook page for different event information and pictures! If you are looking for a sponsorship or business partner, please contact your local Mini Storage Depot and they will put you in touch with one our Outreach Marketing Managers.